Learn how to build a backyard multi-sport game court. Design your own, basketball tennis courts, or other sports courts. Our low prices will cost you less! Make your yard the cool place to hang! 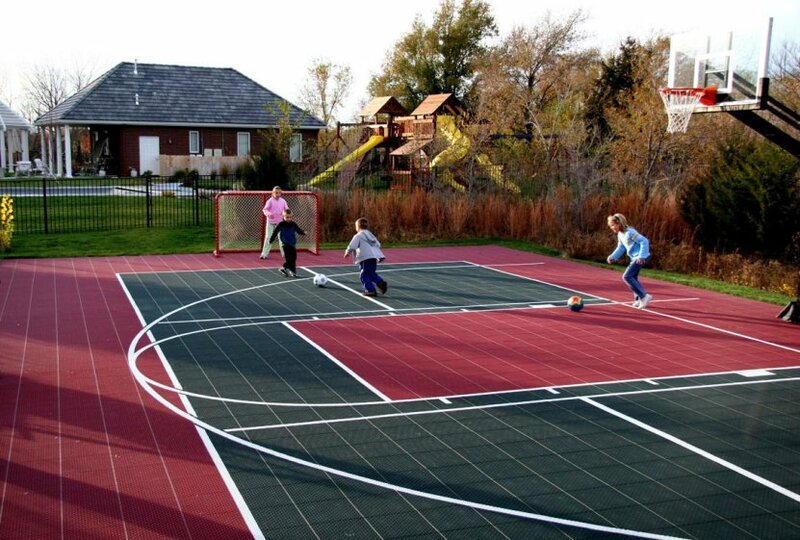 With your own backyard multi-game court you'll never have to wait for a basketball or tennis court at the local park again. and even shuffleboard or 4 square. You can also have the logo of your favorite team or alma mater made part of your court. We carry all types of sports equipment, lighting , fencing, and accessories to complete your backyard play center. If you have any questions or wish to speak with a representaive we will be happy to hear from you, just call us at 860-426-1258. To learn more about how to build your own backyard basketball court click here. Click here to see how easy it is to install !